Peel and cut boiled egg into two halves. Sprinkle little salt and pepper on eggs. In a bowl take gram flour salt, chili powder and make a thick batter using water. 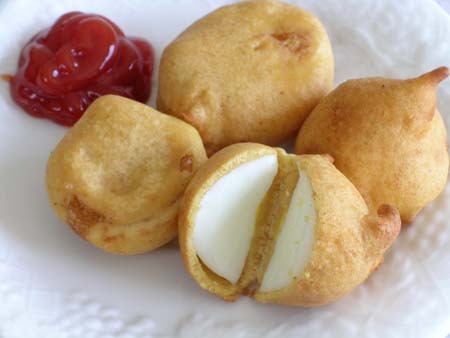 Dip each egg piece in the batter and deep fry till golden brown on medium flame. Serve egg pakora hot .